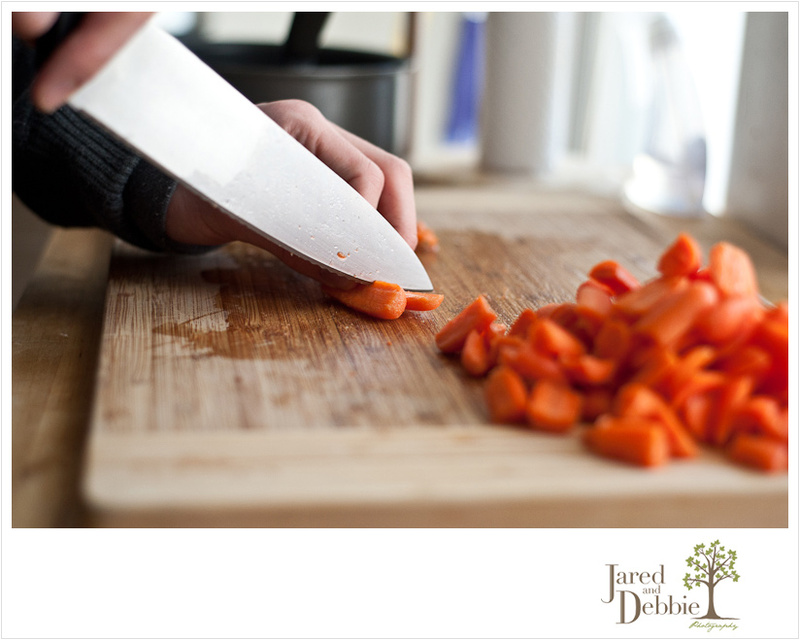 Last weekend, Jared and I embarked on our first homemade soup adventure, crock-pot style. Well, I mainly documented while Jared embarked, but that’s neither here nor there. Let me also note that I begged Jared to read a recipe rather than fly by the seat of his pants as he usually does when cooking. I mean, this was his first time ever making soup! There are so many variables with the seasoning, vegetables, noodles, the amount of water, the amount of time to cook it all… a lot of room for error. But, in true Jared fashion he just went for it. And, of course, he proved me wrong. It was A-MAZ-ING and we devoured it in just three days! Next time, we’re making two batches! Step One: Bring a large pot of water to a rolling boil. Add chicken to the water and boil for 10-12 minutes. Step Three: Remove the chicken from the water and cut into small, bite size pieces. 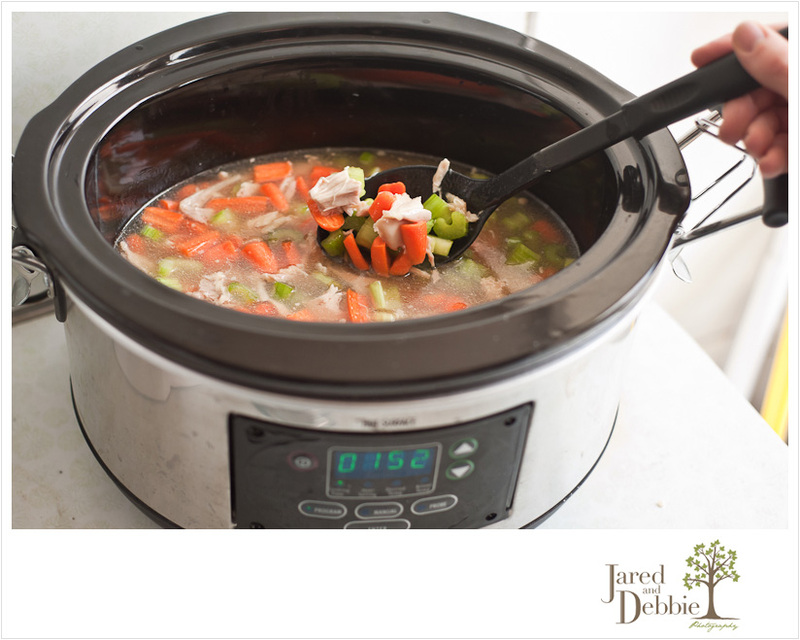 Step Four: Add the chicken, chicken broth, celery and carrots to the crock-pot. Season with sea salt, pepper and oregano to taste. Set crock-pot on High for 8 hours. Step Five: With 1 hour left, bring a large pot of water to a rolling boil. Add the egg noodles to the water and cook until al dente. Step Six: Remove the noodles from the water and allow them to cool. 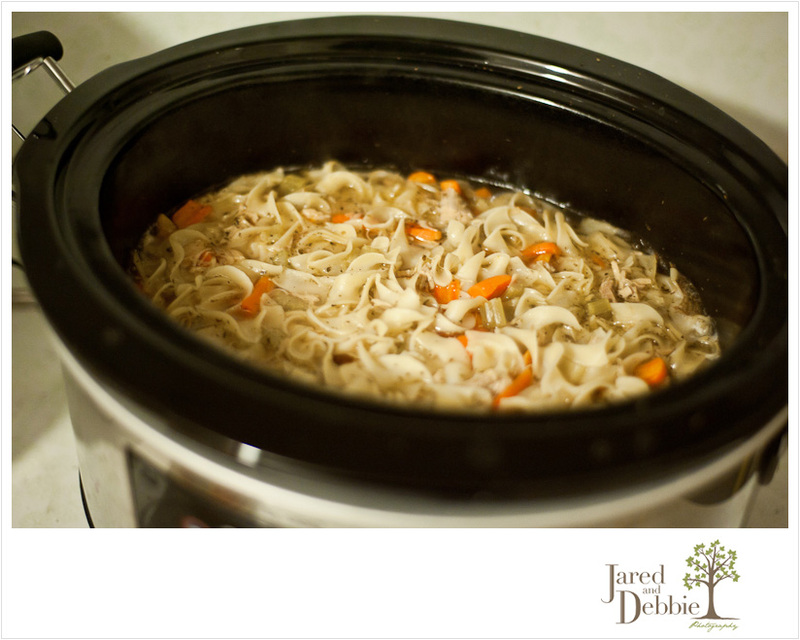 With 15 minutes remaining on the crock-pot timer, add the egg noodles and one cup of water to the soup. Once the timer goes off, it’s time to serve and enjoy! !